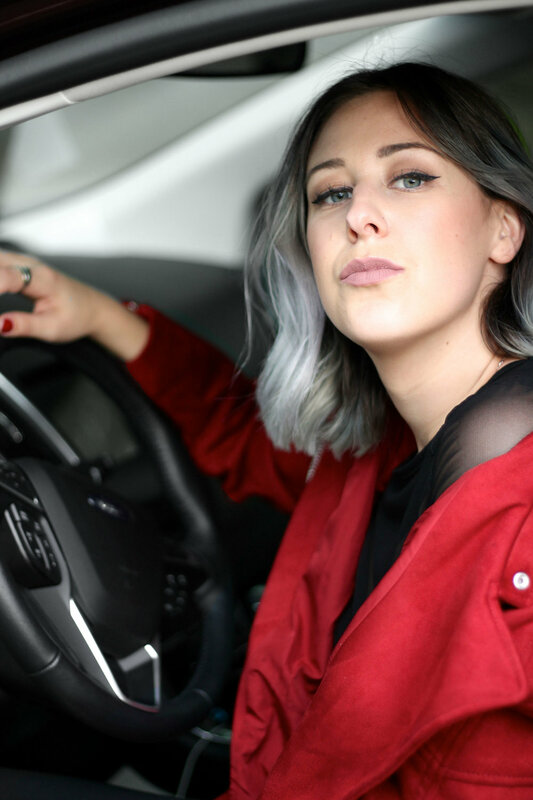 A few weekends ago, equipped with the Ford Edge SUV, I got out of the city with my friend and fellow blogger, Elaisha Jade, for a weekend of fun in Niagara Falls, ON. Over the course of the two-day trip, I discovered a newfound appreciation for the Falls and Niagara On-The-Lake, and got some serious driving time in, which I so desperately missed. Having moved back to the city 6 months ago, I've truly missed being behind the wheel, and the act of losing myself to the road and a good playlist. So I was thrilled to have Elaisha as my passenger and resident DJ of the Ford Edge. As we drove through my hometown of Burlington and then across the Skyway Bridge to Niagara, I reminisced about childhood memories, while Elaisha kept the beats coming and the laughs endless. We also listened to the audiobook “Cataract City”, coincidentally about Niagara Falls, on the Sync 3 in the Ford Edge to further set the mood and amp us up for the weekend. 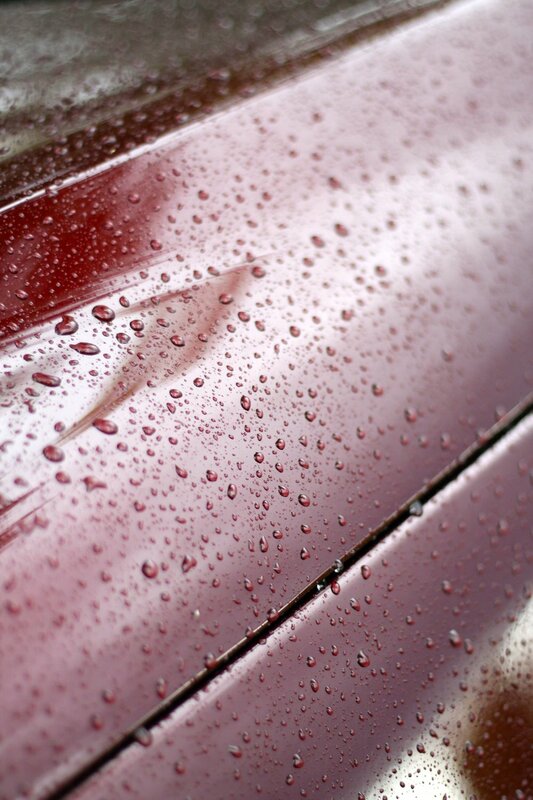 When I first set my eyes on the Ford Edge I found myself smitten with the deep oxblood hue, which complimented my new Suede Motto Jacket from Zara. Not to mention the luxurious two-toned leather found within. But it wasn't long before I recognized that my love for the Ford Edge went far beyond its appearance. Driving the SUV was an absolute dream. Regardless of whether we found ourselves in the heart of the city, the highway or a country road, the 2017 Edge drove beautifully, even when faced with the high winds that we experienced going over the Skyway Bridge–something that's always terrified me. 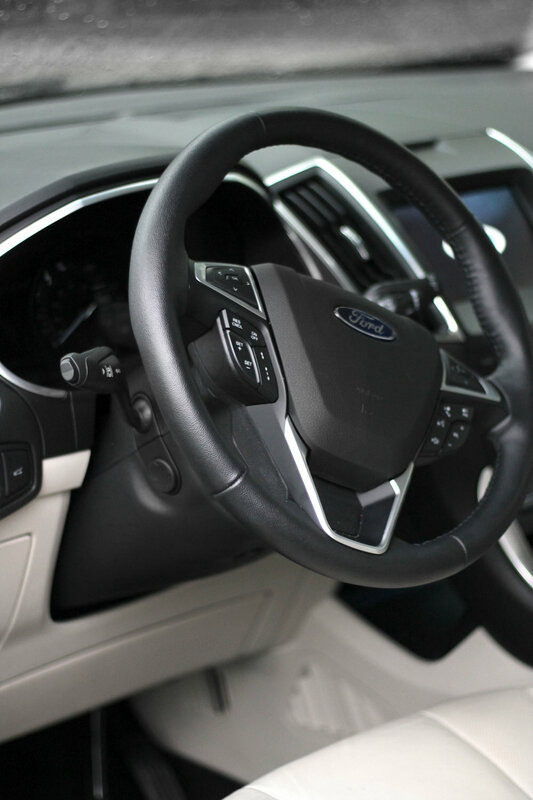 And I totally appreciated the fact that the Ford Edge featured side-mirror sensors and a rear-view camera, which helped greatly, as I, admittingly, hadn't parked in quite some time. 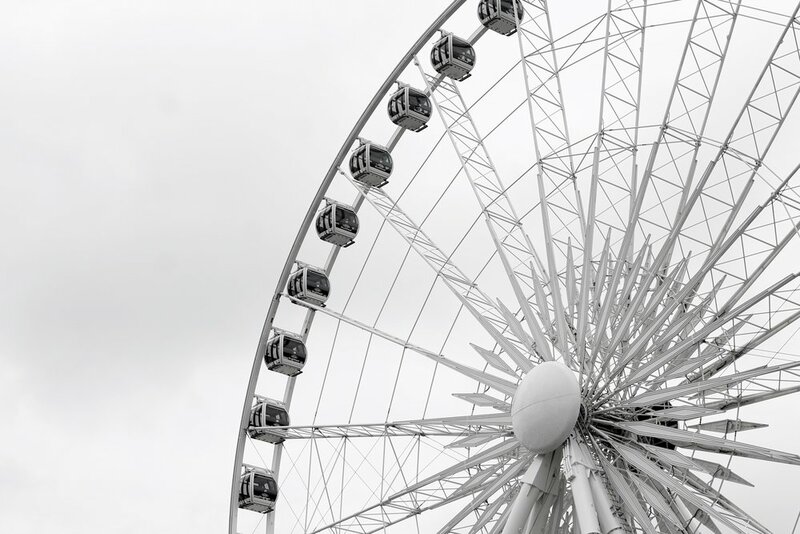 We arrived in Niagara a few hours before we could check in to our room at The Marriott Fallsview, so we decided to make the most of the afternoon and headed straight to the SkyWheel at Clifton Hills. Using our Fun Passes, we hopped onto the SkyWheel and within seconds were over-looking the Falls and laughing away as we tried to get every photo possible from this glorious view. After multiple rotations, we explored Clifton Hills quickly before making our way back to the hotel to check-in. Having never stayed at the Mariott Fallsview Hotel, I was eager to check it out and was pleasantly surprised by what the hotel had to offer. Not only did our room feature a gorgeous view of the Canadian side of the Falls, which were illuminated at night, the room was also extremely spacious, giving Elaisha and I (the two PICKIEST sleepers in the world) the ability to relax and unwind without being in each others hair. And though our time spent at the Marriott Fallsview Hotel was minimal, we made sure to venture to the Breakfast buffet to devour a delicious array of goodies overlooking the Falls before heading out for Day 2 of our trip. 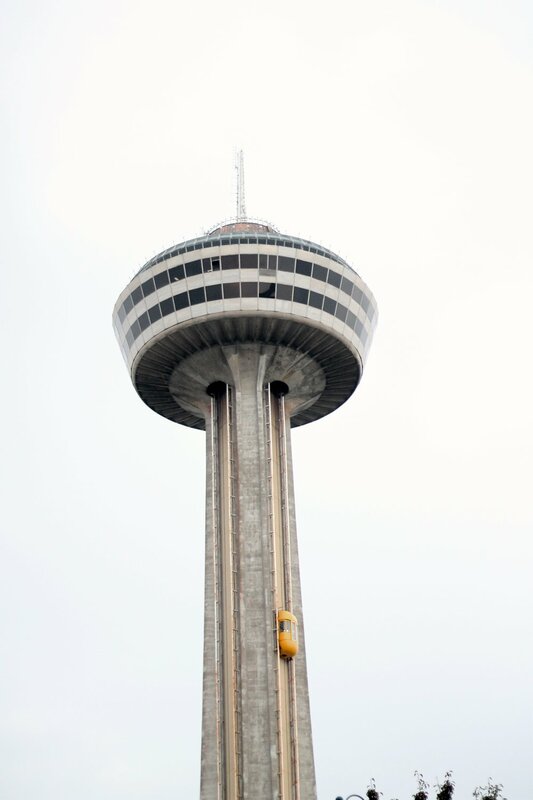 After quickly checking into the hotel room and freshening up we were off to lunch at the Skylon Tower, which features a rotating dining room 775 feet above the Falls. Prior to enjoying lunch at the tower, I was fed horror stories from those who have fallen sick in a rotating dining room due to the motion. And the second we exited the elevator, I immediately understood why. Because we had arrived on the stationary portion of the Skylon Tower, the room in front of us spun, which was unsettling for the first few moments, but once seated the motion was hardly noticeable. The Skylon completes 1 full rotation per hour, meaning Elaisha and I had more than enough time during our meal to take in the view of both the American and Canadian side of the Falls, as well as Clifton Hills and the rest of Niagara. Once our meal (and decadent Praline Cheesecake were finished, we head up to the observation deck of the Skylon to take in the view one final time, and get a mini-photoshoot in. Later that night, we returned to Clifton Hills with our Fun Passes in hand to check off the remaining activities/sights we had yet to experience. Of all the activities available, my absolute favourite was the Ghost Busters ride, in which Elaisha and I were placed in a cart which moved through a maze of rooms as we shot at ghosts. I left the ride with the title of MasterBlaster (LOL) the highest rank one can get–ahhh thank you very much. And while that was definitely the highlight of my time at Clifton Hills, I must admit that I couldn't help but laugh (read: experience a heart attack) when I forced Elaisha to exit the Wax Museum through a Haunted House and we found ourselves trapped in a room of mirrors. Needless to say, my anxiety was through the roof and Elaisha had ZERO control of her bladder. Luckily, we weren't far from the hotel and were able to walk home and get some much needed rest in preparation for Day 2 of our road-trip. For our second day in Niagara Falls, we made it our mission to witness the Falls up close and personal. After a short walk from our hotel, we arrived and were greeted with a cloud of mist that I couldn't help but curse for ruining my hair! After quickly getting over my sudden dampness, we both posed for some photos in front of the American side of the Falls (looking EXTRA AF, might I add) before making the trip back to our hotel to check out. Before heading back home to Toronto, we made a stop in Niagara On-The-Lake to experience a 5-course lunch at the Peller Estates Winery, which was so delicious, I'll be dedicating a complete post to! After finishing our meal, we buckled up and settled into the Ford Edge for our short ride back to the city. Whether it was the abundance of food we had both just devoured or simply how tired we were, Elaisha and I were quiet on the way back, taking in the weekend we had just experienced and looking forward to more trips together to come! 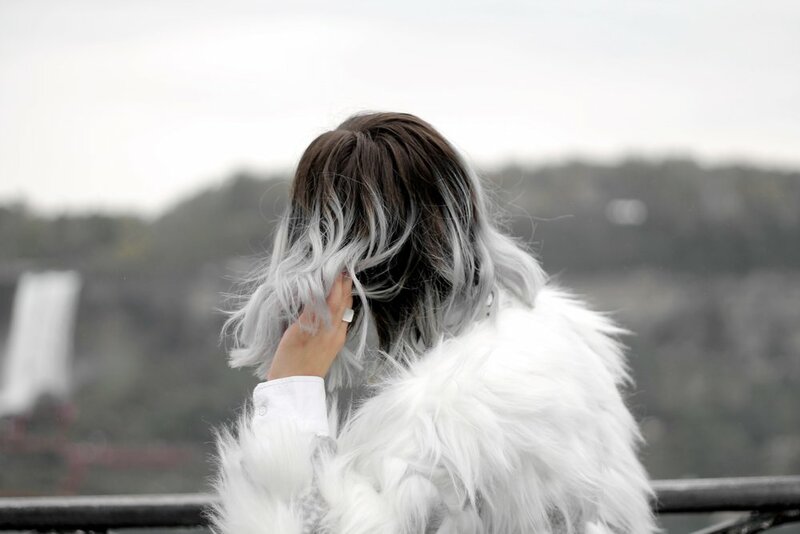 Check out Elaisha's review of our Road-Trip to Niagara Falls with Ford here. Where would you road trip to if you could take the Ford Edge SUV anywhere?